The widely publicised stories of Brisbane mother, Sally Faulkner who failed in her attempt to bring her children back to Australia from Lebanon and the four Vincenti sisters who were forcibly sent from their mother’s Sunshine Coast home to live with their father in Italy brought the issue of travelling overseas with children when parents have joint care of their children to the fore. Many separated parents find themselves in a predicament when an ex-partner wants to travel overseas with their children. Should I let them? What happens if they don’t come back? What are my rights? Can I get them back? Could it effect my parental rights to see my children? These are just some of the questions that a parent asks and the answers aren’t always straightforward. The circumstances of each domestic situation are unique and the answers to the questions about travelling overseas when you and your ex-partner have joint parenting rights will depend on the individual situation. That said, it is always worthwhile getting professional legal advice if you are concerned in any way so that you understand what your rights are and what needs to be done. In most instances, parents who share parental responsibility will have no problem when one wants to take the children on an overseas trip. Consent is generally given in writing prior to travel and the parent who is travelling will provide (if requested) copies of the itinerary, the return travel arrangements and contact details. 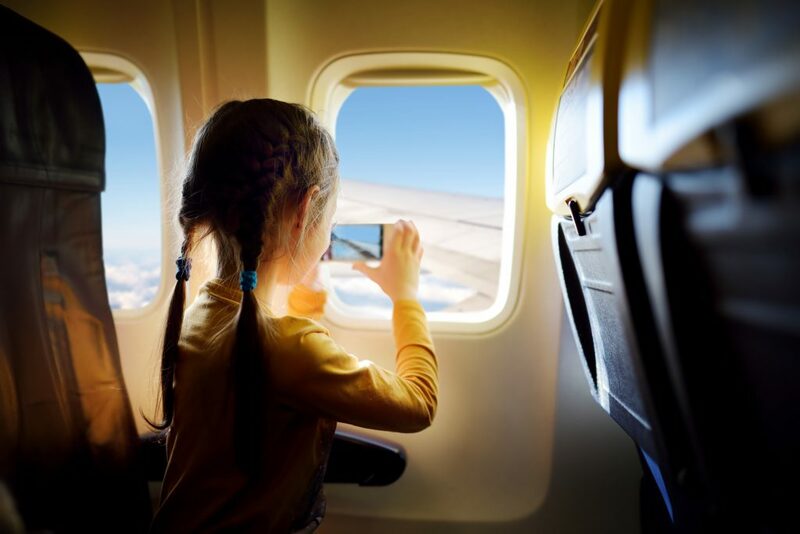 If a parent who wishes to travel on a holiday overseas with the children is denied consent by the other parent, they may apply for a court order. The Court will assess the risks of the child not returning to Australia and make orders for financial security if necessary and if it deems that it’s in the child or children’s best interests to travel, it will allow them to do so. The Hague Convention on the Civil Aspects of International Child Abduction is the main international agreement covering international parental child abduction and it provides a legal process through which a parent can seek to have their child returned to their home country. However, not all countries are signatories to the Hague Convention, and application for the return of a child can only be made to or from a country that has signed the convention and which Australia has recognised. So, what are the procedures that a parent should follow if their ex-partner, with whom they share parenting responsibilities, wants to take their children to a country which isn’t a signatory to the Hague Convention? In the first instance, parents need to be cautious and give very careful consideration to any proposed travel arrangements. If you are concerned that your child may leave the country without your permission, you should seek legal advice from an experienced family lawyer as soon as possible. It may be appropriate to apply to the Court for an order that, amongst other things, prevents a child from leaving Australia. If this order is granted, it means that children will be placed on the Family Law ‘watch list’ and intercepted at their departure from the country, such as airport, port. If the likelihood of children travelling overseas without consent is imminent, the Courts will act urgently. Do the separated parents get on? What is the nature of the relationship? Does the parent who will be travelling with the children have any vested interests in that country? Do they have established ties in that country, such as family, friends and even property and other assets? Have the children previously travelled to that country? Would the travelling parent be leaving behind an established lifestyle, including a job, home, network and commitments? Have they ever indicated that they would like to live overseas with the children? What is the situation with regard to the children’s passports? Who holds them? Have you both given consent for the children to apply for new or renewed passports (Australian and foreign)? Are there any current parenting orders in place and have those been breached in any way in the past? It’s important to know that it is a criminal offence to remove a child or children from Australia (either for holiday travel or to relocate permanently) without the other parent’s consent or a Court Order permitting such travel if there is a Parenting Order in force or if Court proceedings are pending. To find out more about your legal rights and responsibilities with regard to travelling overseas with your children as a separated parent, you should contact a family law expert. Importantly, if you have any concerns about your children being taken overseas without your consent, you should get advice from a lawyer immediately. Paterson & Dowding are a highly regarded family law firm in Perth and their approachable and dedicated team have the skills and experience to handle even the most complex parenting matter. Whether its international or domestic relocation, international child abduction, child care and living arrangements and access or the rights of grandparents, their family and divorce lawyers understand the complex challenges that can arise from a family breakup – and they can help you make informed decisions about your situation. Find them on 08 9226 3300 or visit www.patersondowding.com.au for more information.